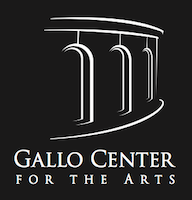 The Gallo Center for the Arts, in Modesto, is hosting a presentation on Wednesday, November 13, 2013, from 7:00-8:30 pm, on the new mathematics California Common Core State Standards. The event is co-sponsored by Modesto City Schools and Stanislaus County Office of Education. The presentation is geared toward parents, teachers, community members and K-12 educators, and is free to attend. David Foster will be the keynote speaker and is Executive Director of Silicon Valley Mathematics Initiative. He will be speaking about how to prepare for college and career with Common Core Math Standards, and how junior high and high school mathematics courses are changing to align with new Common Core Math Standards. Fawn Oliver, Director of Student Support Services for Denair Unified School District, stated, “We are excited and feel very fortunate that David Foster will be in our area, giving our student’s parents, as well as our community members, the opportunity to get a glimpse of how math is changing under the Common Math Core Standards. The changes will enable our students to be more prepared as they enter the college and career world. A flyer for the event can be downloaded here.